Solubility : Readily soluble in water. 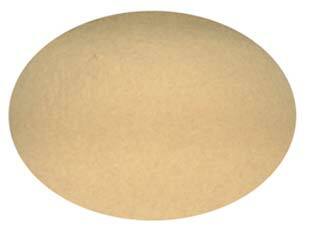 Appearance : Pale brown free flowing powder. Poptan RsI is a spray dried complex aminoplast resin of medium polymeric size recommended for tight and mellow leather. Due to its stable polymeric size, the leathers maintain its mellowness on aging and will not become firm or brittle. The resin is able to penetrate deeper, tans in depth, resulting in a richer and fuller leather. Poptan RSI has a selective filling action, mainly depositing in the loose structured parts of the leather. Due to its non-astringent nature, there will not be any drawn grain effects. Poptan RSI imparts good level dyeing properties, increases tensile strength of leather and gives plumpiness to the leather. The particular resinous nature of Poptan RSI gives a desirable buffing surface. After addition of Poptan RSI in subsequent operations, its advisable to adjust the pH to 3.0-3.5 for tighter leather and 3.5-4.0 for softer leathers, to avail the optimum efficiency of the product. Improved fullness where it is required most. Tight grain, increases tensile strength and plumpiness. A new approach to producing uniformly soft leather without additional fat liquoring. For the mild, filling retannage of all types of chrome leather, where fullness and suppleness are desired, 2-5% is recommended. For the production of Softy full grain, corrected grain upper leather and nubuck, 2-6% is recommended.